	Author(s) and Title: B.mahmoudi Mazraeh Shadi ‘Training Needs Assessment: A case study of HUCO in India’ has presented in the national seminar “Management Science Research for Sustainable Development” organized jointly by Institute of Management in Kerala (IMK) University of Kerala and the Kerala Academy of Social Science, held on 29/11/2014 at Thiruvananthapuram, Kerala, India, and published in The Review of Social Sciences, ISSN: 0974-9004, March 2015. 	Author(s) and Title: B.mahmoudi Mazraeh Shadi “Overview of Aging in Iran Population :Past, Present and Future” has presented in the international Conference on Engaging and Empowering the Elderly (ICEEE 2014)&17th Biennial Conference of Association of Gerontology ,India(AGI), held on September 15&16, 2014 at Centre for Development Studies ,Thiruvananthapuram, Kerala, India. 	Author(s) and Title: B.mahmoudi Mazraeh Shadi “Determinants of Inclination to Permanent Migration to Tehran city Between Educational Migrants” has presented International Conference on Migration, Care Economy and Development, held on September 17, 18&19, 2014 at Centre for Development Studies, Thiruvananthapuram, Kerala, India. 	National Seminar on “International Financial Reporting Standards in the Indian Context” organized by the PG Department of Commerce, All Saints’ College held on 16&17 January, 2015, at Thiruvananthapuram, Kerala, India. 	International Conference on Modern Education Society’s entitled “Resource writing and Interviews Skills” Organized by the Foreign Students Association of the college held on 22 January 2011 at University of Pune (Ness Wadia College of Commerce) India. 	International Conference on “The effect of Sciences on Globalization” organized by Yashwantrao Chavan, Academy of Development Administration held on February 7 &8, 2011 at University of Pune, India. 	International Conference on “Research & New Perspective in Developing Sciences” held on January 11, 2011 at University of Pune, India. 	International Conference on “Interest Free Banking as a Means of Inclusive Finance in India” organized by Poona College of Arts, Science and Commerce held on March 19, 2010 at Research in the Area of Management ,Pune University, India. 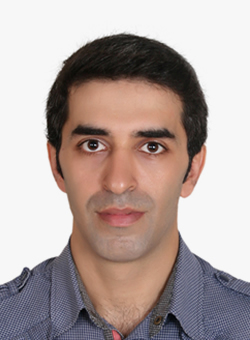 •	Ranked silver medal as the second superior Iranian Research Scholar (Ph.D) held on December 2014, Delhi, India.